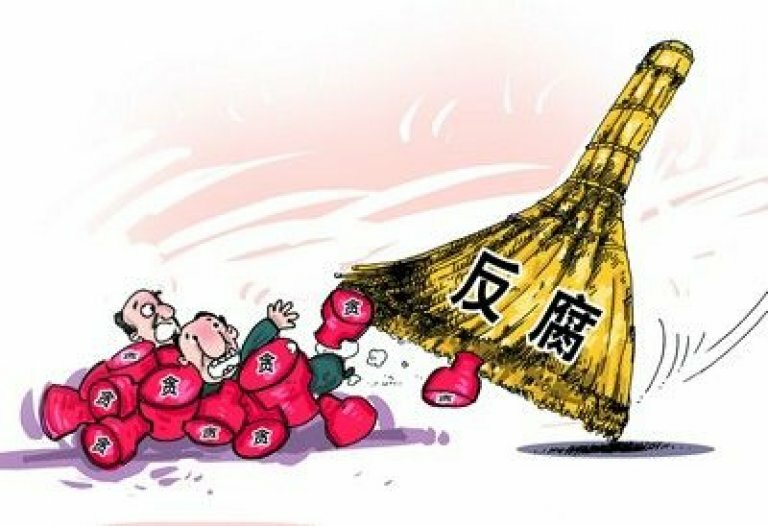 There are new allegations about corruption in parts of China’s central leadership, involving the family of retired Politburo member He Guoqiang, who, among other responsibilities, ran China’s anti-graft operations from 2007-2012. The question isn’t whether those accusations are true, but how much it really matters even if they turn out to be. The claims about the He family’s ties to at least one major financial Chinese firm with international connections aren’t entirely new, as the article itself notes. Rumors about He have been around for years, mostly in Hong Kong media circles, which don't have the most reliable track-record when it comes to political reporting. Many of the more recent accusations—and the crux of this new recounting--come from Guo Wengui, a real estate mogul who alleges that He Jintao, the son of the ex-Politburo member, caused him financial harm by intervening in a business deal. Guo has also claimed to have knowledge of money-laundering by some inside or at least connected to leadership circles in China. These sorts of accusations of wrongdoing are only too common in China. Often the purported victim says that someone with political protection victimized them. The aggrieved then reaches out to foreign journalists to plead their case, sometimes with the hilarious result that the recipient of such revelations sees them as a sign of change in China—that is, that people here actually complain about injustice (which they do all the time and have done for centuries actually). There’s no particular reason to think that the case being discussed is any different. Even The New York Times article admits that “Mr. Guo…did not offer any proof of wrongdoing by the He family.” There’s no exploration of motives, or what the He family would have stood to gain from the son’s machinations. Perhaps a lot; perhaps nothing at all. We don’t know, and we’re not told. So it’s difficult to know what to do with such reports, especially as He Guoqiang has retired, though surely retains significant influence. If He ends up under investigation, would his takedown mean anything in present Chinese politics? 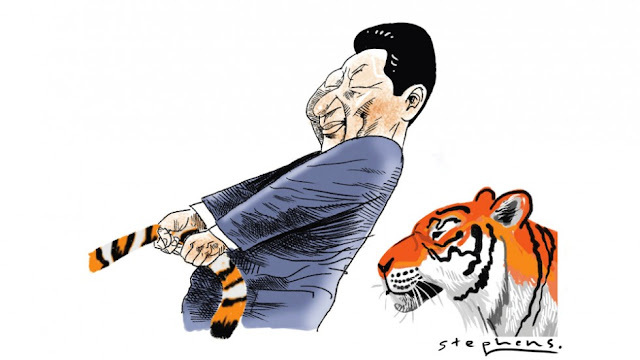 Maybe that Beijing’s anti-corruption crusade has claimed another “tiger”? But how specifically that development would help President Xi Jinping (or harm him) isn’t at all apparent. Chinese officials already know that the anticorruption campaign is real and that it’s been targeting every level of officialdom. Local officials in particular spend almost as much time looking over their shoulders for inspection teams as they do trying to make policy. Taking down He and his clan wouldn’t prove much more than what’s already accepted practice. No big deal here then. Would investigating He or his family supply further proof that some high-level elites and family members have benefitted enormously from their political position? Really, is any more evidence required to convince officials or citizens here? If anyone in authority or attendance thinks that Beijing’s crusade is just some ploy only targeting political enemies, they’re delusional—and maybe next on the hit list because they’re not reading the tea leaves correctly. Every official is vulnerable, and every official knows that. Or maybe an inquiry into He and his son would signal the beginning of an assault on He’s former employee, President Hu Jintao? That’s actually a slightly more interesting question, though not for the reasons one might think, especially as the Xi-Hu relationship is rather complicated. Assuming that Hu Jintao is the real target here presumes that Xi hasn’t “consolidated his power” and needs to do so. But the phrase--the concept, if that's what it is--is as undefined as it is commonly employed: No one ever says what precisely Xi needs to do to accomplish that goal of consolidation. One day Xi’s cast as approaching Strongman status; the next he’s seen as encountering enormous resistance and needs to replace recalcitrant officials before they become a unified political threat. Indeed, one of the great absurdities of much of China Watching these days is why opaqueness in the political system here isn’t a check on audacity when it comes to broad conclusions. That Guo Wengui is just another tycoon who lost out on a deal where he was trying to punch above his political weight, and having fled to the United States to avoid retaliation for his missteps, is desperate enough to believe that talking to journalists and publishers and agreeing to the odd video interview will somehow get him back into the ring and reclaim his status. Talk about delusional. Fortunately for Guo, there’s an audience for these sorts of allegations, even if he hasn't yet provided direct evidence for any of the ones he's peddling. Unfortunately, at least for now, the lack of corroboration doesn't seem to matter very much, even though it really should. Have you been following the OBOR machinations? The mid-May kickoff? The geopolitics? Re OBOR, not too much, save the odd news item or special program on Chinese television, of which there have been quite a few, as I'm sure you know. The pattern in the latter seems to be to identify foreigners with little China experience and no language skills, eager to be feted and looking for fame, and have them come on and give their support to the initiative. Astonishing how many of them are only too happy to do so, and render a complicated policy program into rank simplicity and agree with their hosts--which is, as ever, the entire point of the exercise. From what I can see, OBOR itself has less traction in provinces outside the northeast, at least insofar as official commentary in the provincial papers indicates. Of course, People's Daily has a great deal of coverage. But I think the more affluent the province, the less interesting the OBOR seems to be to local governments.